PinOut! (Free) by Mediocre AB is the latest new game from the guys who brought you Smash Hit, Does Not Commute, and Dirac. If you’re a fan of their amazing style and challenging games, and also have a love for pinball, then PinOut! is one that you do not want to miss out on. When I was a kid, one thing I absolutely loved was pinball. I remember I got some kind of pinball machine toys as gifts from my siblings for one Christmas, and I spent hours on that one Space Cadet Pinball game on Windows PCs back in the day. And whenever I was able to hit up the arcade or somewhere with an entertainment area, I always looked for the pinball machines. I don’t know what it is, but something about pinball just hooked me as a kid, and it still does today, though it has to be a good hook. As a big fan of what Mediocre has done in the past, especially with Smash Hit, I was excited when I heard that they were coming out with another title, this time involving pinball. So here we have PinOut!, and it’s one that will make any pinball fan happy. 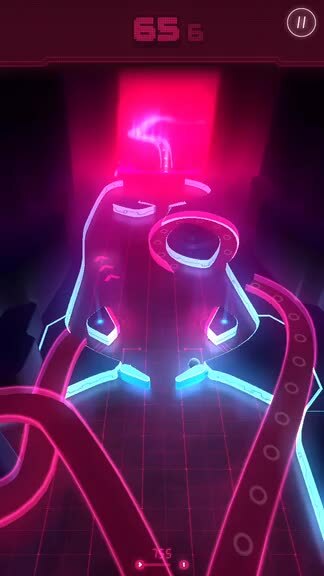 Visually, Mediocre knocked it out of the park with PinOut!, as it features gorgeous, Tron-like graphics that make me feel like I’m playing the pinball machine of the future, which technically, I kind of am. 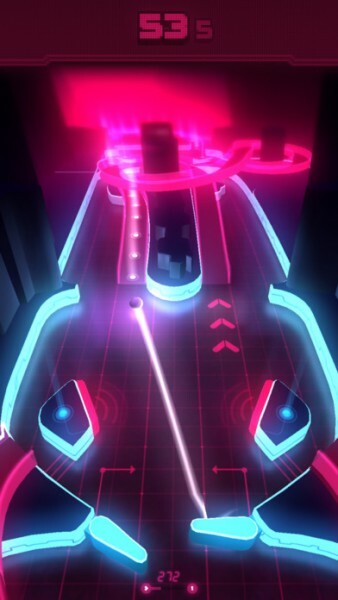 The pinball table features dark, glossy surfaces and bright neon lights that make you feel like you’re in The Grid itself. 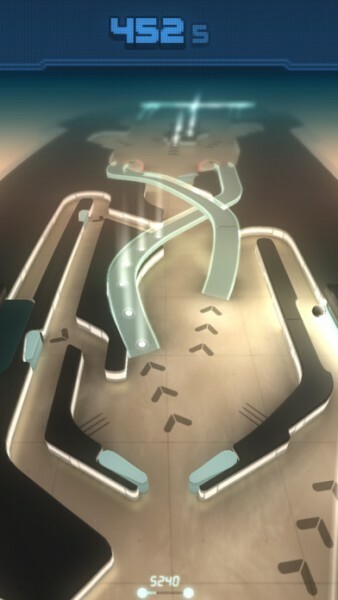 The pinball table also has various ramps, bumpers, and even some hidden mini-games that you can enter and play, giving the game a bit more variety than just pinball. PinOut! 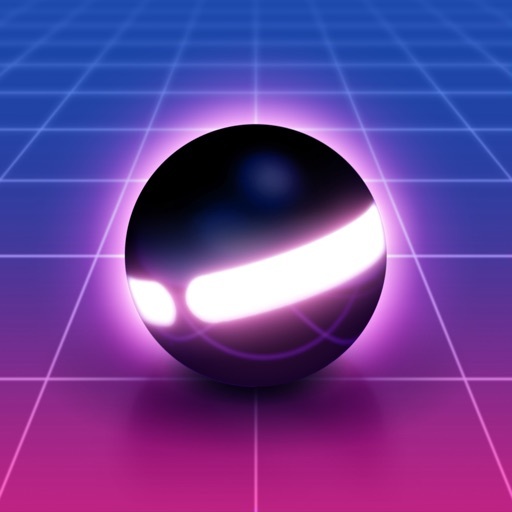 also features a groovy, techno synth soundtrack that dynamically changes as you reach new table sections, and the sound effects are fun and futuristic. 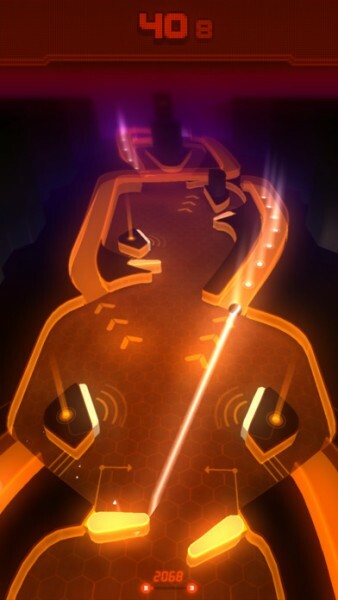 Like their previous games, PinOut! is one long, continuous journey. There is only one game mode, and the goal is to race against time and see how far along in the long pinball table you can get. 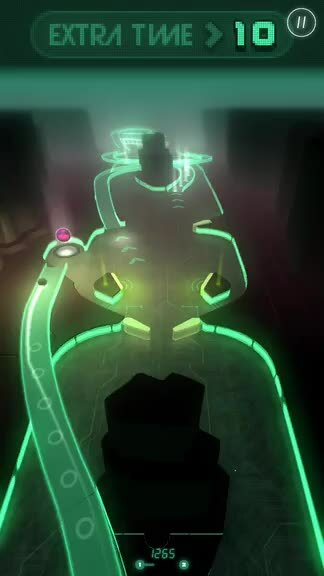 You start off with 60 seconds on the clock, but as you play, you can collect the glowing orbs to earn extra time. 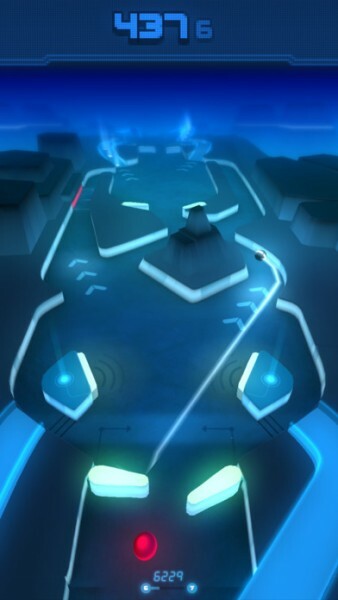 Since the game is a continuous journey, you want to aim to get the ball on the proper ramp paths that move you to the next sector of the table. This can be harder than it looks, especially as you make it further along and encounter various obstacles like moving walls, blocked off areas, bumpers, launchers, and more. Along the way, you’ll also find tokens for mini-games that can net you extra time on the clock, and there are power-up orbs that give you two randomized options, such as Time Freeze, Slow Motion, or only have the clock run down when the ball is in movement. 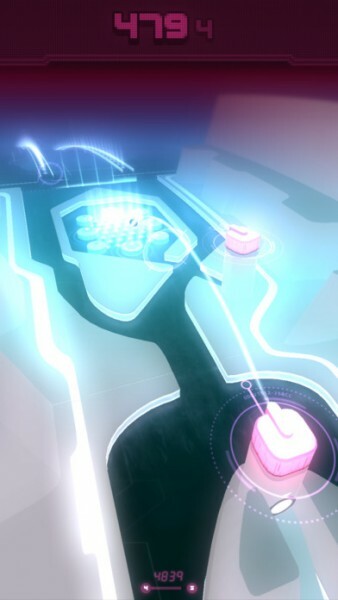 The controls in PinOut! are incredibly simple and intuitive. All you have to do is just tap on the left or right side of the screen to activate the flipper that you want to use. As you make your way through the pinball table, you’ll have to pay attention to where the flippers are, because once you reach the next section of the pinball machine, there may just be one flipper tucked away, or the positioning may be different. It’s important to give the game your full attention, because otherwise you may miss the ball and fall back a few sections, which means wasting precious time. Once the clock runs out, then that’s it. The game is a test to see just how far you can manage to make it for each run. The initial free download means that you will have to start from the very beginning on each new run, but if you opt for the $1.99 premium unlock, you’ll be able to continue from checkpoints, which are the starting points of the next pinball table that you reach. Personally, I’ve loved all of Mediocre’s games lately, so no doubt I will be glad to pony up the two dollars to start from reached checkpoints. 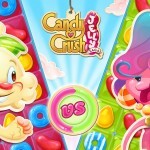 The game is just downright fun, though some may think it’s a bit repetitive. Overall, I’ve been playing PinOut! over the last few days and enjoying it rather thoroughly. The graphics are stunning to look at and are nice and sharp on Retina screens. The unique techno synth tunes for each table are awesome to the ears, and the controls are simple and intuitive. 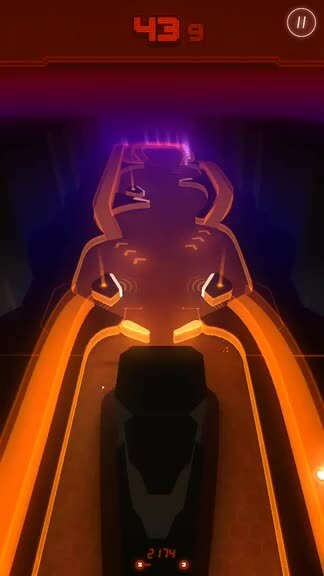 The only improvement that could be made to the game are even more pinball table designs added in a future update, so that the content can stay fresh and interesting. Overall, though, I am pleased with another Mediocre AB title to add to my collection. 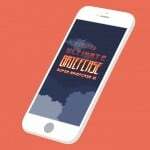 If you are a fan of pinball and enjoy the work of Mediocre, then you should check out PinOut! for yourself. You can find PinOut! on the App Store as a universal download for the iPhone and iPad for free. There is a one-time in-app purchase of $1.99 to continue from checkpoints.